Our precious sovereignty has been breached once again by a foreign military who seems to come and go as they please. You know exactly who I am talking about. Or do you? Judging by media reports and statements from officials, it is obvious that I am talking about the American drone strike that killed Taliban leader Mullah Mansoor. However, notice that there are two foreign militaries involved in that situation, US and Taliban, but we are only angry about one and not the other. Balochistan Home Minister said today that six Afghan spies have been caught. This adds to the list of dozens of RAW agents that keep getting arrested inside Pakistan. However even this is a drop in the bucket. Interior Minister has declared that thousands of foreign spies are roaming our streets! ‘Thousands’ may still be too small, though. In a statement refusing to admit that Mullah Mansoor was killed in Pakistan, Ch Nisar admitted that ‘About 30,000 people cross the border on daily basis and there is no monitoring system’. 30,000 people crossing on a daily basis! Even sports clubs are getting in on the action. Pakistan Hockey Federation banned Tiger Club due to alleged involvement in human trafficking, and in an even more embarrassing case the government paid for the fake ‘Belgian cricket team‘ that was put together by some PMLN officials in London. Yes, Pakistan has a sovereignty problem. Our borders are not respected by anyone, but most of all not even by ourselves. Aren’t we basically inviting our sovereignty to be violated when we allow mujahideen to come and go at their own free will? Surely we must expect that spies will follow. Aren’t we inviting our sovereignty to be violated when we use sports to move people in and out illegally? When even our own officials are responsible? Our shame is not that our sovereignty is being violated, it is that we are actually willing to allow it. As if we needed any more bad news this week, al Qaeda leader Ayman al-Zawahiri released a new statement on Thursday that his terrorist group is responsible for the kidnapping of a 70-year-old American aid worker. This slap in the face couldn’t have come at a worse time. 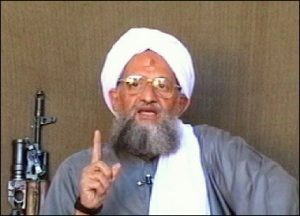 Zawahiri claims that his al Qaeda militants kidnapped the American and is holding him on demand that the US stop air strikes against militants in Afghanistan, Pakistan, Somalia and Yemen and releases the 1993 World Trade Center bombers. If anything, this action is only going to increase the American resolve to continue air strikes. It should be noted that the 70-year-old man al Qaeda kidnapped is no Raymond Davis. Zawahiri couldn’t even claim the kidnapped American was an agent. Rather, he described the man as “neck-deep in American aid to Pakistan since the 1970s”. Say what you want about the effectiveness of US aid programmes, but the fact remains that Al Qaeda is essentially saying that if the Americans don’t stop killing militants, they will kill an old man who has devoted 40 years of his life to trying to help Pakistanis. It was no secret that Al Qaeda are idiots. But what I think we were all hoping is that they were at least not being idiots in our back garden. When Osama bin Laden was discovered in Abbottabad, the nation suffered a collective shock. The world’s most wanted terrorist was not hiding in a cave in Tora Bora, he was living with his family outside Kakul. Unfortunately, the powers that be decided that it was better to divert attention than to deal with the difficult question of how exactly he got there and managed to live unbothered and undetected by our intelligence agencies for years. Instead, the only question that seems to be asked is how the Americans managed to pull of a cross border raid without being detected. Not that the issue of cross-border raids isn’t a good one, but let’s be honest – the Americans aren’t the first to run cross border raids into our territory without being detected. Iranian intelligence agents conducted a cross-border operation deep into our territory last year to free their diplomat who was abducted by militants in 2008. If one lesson should be taken it should be that as long as militants are using Pakistan as a base of operations, the countries affected are going to run cross-border operations. And why wouldn’t they? If we don’t respect our own sovereignty when it comes to militant groups, why should the affected countries respect it? 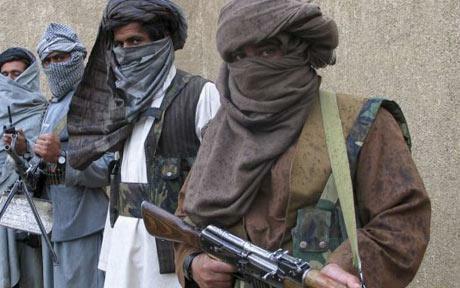 The Americans have continued to claim that militant groups including al Qaeda are operating freely in Pakistan. We have continued to say this is not the case, but each time al Qaeda shows up as operating in our borders, it undermines our national security. If we want to protect our sovereignty, we don’t need a plan to shoot at NATO helicopters, we need a plan to get rid of militants. When will our patience run out? As I sat watching last week’s events unfold before my eyes via satellite from Mumbai, I found myself in that dreaded but all-too-familiar place – praying that it not be Pakistani who has committed this awful act. We feel the dread coming on whenever some tragedy takes place (please don’t let it be a Pakistani) not because of any conspiracy against Pakistan. We feel the dread because we get up and read the newspaper and see Malik Ishaq laughing at us from the page, once again set free to slaughter innocent people. Sadly, I was not at all surprised by the court’s action as courts in Punjab have a strong record of freeing terrorists. And even when they are behind bars, they are getting support from high places. No, I am not referring to any foreign hand or conspiracy by national agencies, either. I’m talking about terrorists being given taxpayer money by Punjab government. Malik Ishaq enjoyed Punjab government’s financial assistance ever since the Sharif’s came to power in 2008, officials on condition of anonymity told The Express Tribune. 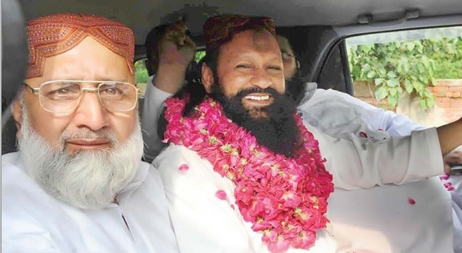 The accused terror kingpin belonging to banned Sunni outfit Lashkar-e-Jhangvi (LeJ), nominated in 44 cases in which 70 people were killed, allegedly received a monthly stipend, during imprisonment, from the Punjab government. Sri Lankans may be disgusted by this latest move of the courts, but it is our own people who will suffer the worst. As a matter of fact, most of the major terrorist attacks carried out in Pakistan since 9/11 appear to have a common grandmother – the Lashkar-e-Jhangvi or the Army of Jhangvi – an anti-Shia Sunni-Deobandi sectarian turned anti-America jehadi organisation which is currently the group of choice for hard-core Pakistani militants who are adamant to pursue their ambitious jehadi agenda. Launched in 1996 as a Sunni sectarian group, the Lashkar today has deep links with al-Qaeda and the Taliban and is considered to be the most violent terrorist organisation operating in Pakistan with the help of its lethal suicide squad. As with most Sunni sectarian and militant groups, almost the entire LeJ leadership is made up of people who have fought in Afghanistan and most of its cadre strength has been drawn from the numerous Sunni madrassas in Pakistan. Besides receiving sanctuary from the Taliban in Afghanistan for their terrorist activities in Pakistan, the LeJ operatives used to fight alongside the Taliban militants. Being part of the broader Deoband movement, the LeJ secured considerable assistance from other Deobandi outfits. The LeJ also has an effectual working relationship with other Deobandi religio-political and terrorist organisations at a personal level, if not at the organisational level. Also, Pakistani intelligence findings show that al-Qaeda has been involved with training of the LeJ members, and that the Lashkar militants also fought alongside the Taliban against the Northern Alliance troops in Afghanistan. Asad Munir noted recently that the Taliban do not recognise Pakistan’s sovereign borders. The Taliban never recognised the Durand Line, and in fact laid claims to parts of Mohmand Agency, Binshahi in Dir and Angoor Ada in South Waziristan. Pakistan, for internal security reasons, should not insist on a Taliban government in power in Afghanistan, because they export Talibanisation to Pakistan. Efforts should be made for a broad-based, friendly government in Afghanistan on the withdrawal of US forces. Pakistan’s army is under unprecedented pressure from both inside and outside the country. The Pakistani urban middle class and media who are largely anti- US are furious at the US carrying out the operation in Abbottabad which killed Osama bin Laden, and at our armed forces’ failure to react appropriately. Internationally, the situation is not in favour of Pakistan. Most of the world perceives Pakistan as a safe haven for terrorists. In case we do not act to eliminate these sanctuaries, action by foreign forces will remain a threat. For all the hue and cry about ‘sovereignity’, it is not CIA that is executing our security forces and releasing videos to brag about it. And the notorious LeJ hitman, paid by government Punjab and freed by the courts, tells Geo that he will continue his work of terror. An editorial in The Australian last week says that the world’s patience is wearing very thin with regards to terrorists groups in Pakistan. The question is, when will our own? Our elected representatives and our people must realise that it is not the drones or national sovereignty or American aid that is the main issue. It is that termite of the extremist mindset that kills Muslims in mosques that has permeated our society and converted it into the rotten mess that it is in today. It will take a concerted effort at de-weaponising house by house and legislators, civil society and the media to galvanise and work tirelessly for decades on a thought revolution to ensure the extermination of extremism and the preservation of Pakistan. Caught sleeping on the job, the Pakistan government has turned its machinery to bite the hand that feeds its face. Nations evolve, and one would have thought that rousing nationalistic songs and hot-button phrases like “invasion of sovereignty” would have been dropped in favour of unvarnished facts. Time was that dictators spewed nonsense and one yearned for democracy and a wonderful array of elected legislators who would arm themselves with data and speak with accuracy and vote with conscience. But our kismet is crossed with parliamentarians who come with their own personal agendas. The two things that galvanise Pakistanis of all hues are cricket and the kursi (chair). Strange bedfellows and stranger sums of money exchange hands for both. It is in times of crisis that a person and a nation’s mettle are tested. A la Goebbels after the in-camera session of parliament, the Information Minister stated that the ISI chief had “surrendered” himself to parliament. We have now taken to messing with the nation’s psyche. The parliamentarians got together and drew up a 12-point agenda, the primary thrust of which was to stop the drones or else the NATO supply lines would be cut and to initiate an independent inquiry commission with regard to the bin Laden fiasco. Around the same time, US Senator John Kerry visited Pakistan; and interestingly he roared in like a lion and left quite the lamb. For it seems that soon after the bin Laden fiasco, American and Pakistani voices questioned their union in the fight against terrorism. The slur of infidelity was thrown around and both sides felt violated: $ 3.2 billion in aid, screeched US Congressmen and media, what is going on in Pakistan? In the depth of the night, in all of 40 minutes, with helicopters and Navy SEALs, Osama and all multimedia files are gone, wondered the whiplashed Pakistanis. The Pakistani media went into overdrive. Only a minuscule few honed in on the actual invasion of sovereignty that has occurred over the last quarter of a century in Pakistan and one that we have accepted with gratitude and smiles for this invasion came laced with money and religion. We welcomed Uzbeks, Chechens, Arabs, Afghans and more. It is alternately sad and stupid to realise that the real serpent that has permeated and become one with the fabric of our society is so completely ignored and like petulant children we are kicking and screaming at the US. Extremism is born and perpetuated by poverty and unemployment. The hungry, disenchanted teenager is much more likely to be ensnared by the charms and monetary temptations of the radicalised. And when the radicalised are your neighbours, your servants, your co-workers, your teachers, or essentially anyone, and you collapse your economy further, you simply guarantee extremism. Ensconced in ultra-luxury, Punjab Chief Minister Shahbaz Sharif has decided that the Punjab province shall refuse the American dole. While it is true that Pakistan has not accounted for its billions in aid appropriately and a good part of it has not made it to its intended purpose and has probably lined many a private pocket, it is factual that American aid is used for a large number of governmental and non-governmental educational, administrative and developmental projects. These projects will simply dry up as the aid does. Chucking charity is not as simple a choice as the ghairat (self-respect and pride) of Shahbaz Sharif might dictate. Perhaps it was this Punjabi indignation or the graphic posters displayed by protesters in front of the in-camera parliamentary session that caught the eye of the Americans, for now their tune is decidedly different. Senator Kerry may have wagged his finger at Kayani behind closed doors but in public the story is conciliatory. Senate Majority Leader Harry Reid says that this is not the time for the US to flex its muscles at Pakistan, rather it should withhold judgement. Senator Mitch McConnell says that disengaging with Pakistan now was not a good idea. And most surprising is the statement by House Speaker Richard Boehner, who said that Pakistan was a real asset and had lost more troops and more individuals in the fight against terror than the US. The US-Pakistan partnership has been one of those uncomfortable but necessary alliances for both parties. So analogous to human relationships when you realise with this gnawing deep inside that you share little now except an interwoven past and an inextricable convenience. Our hypocrisy must stop. The drones fly from Pakistan’s airfields and we have given our express permission for this. Our president does not even think the non-extremist civilian deaths are collateral damage. Regardless of American intelligence, drones do not rain down on Iran, Turkey or Malaysia. They do not froth at the mouth about “national sovereignty”; they protect it by simply refusing. The writer, Dr Mahjabeen Islam, is an addictionist, family physician and columnist. This article was originally published in Daily Times on 20 May 2011.